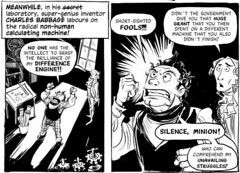 Enter for a really easy competition to win one of three copies of The Thrilling Adventures of Lovelace and Babbage. Entries close on 10th January 2016. As you may be aware, next Tuesday (13th October) is Ada Lovelace Day. 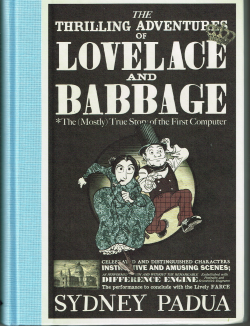 In my next newsletter I’ll be announcing details of a competition whereby three lucky readers can win a copy of The Thrilling Adventures of Lovelace and Babbage, by Sydney Padua. Ada Lovelace died young, at the age of 36, and Charles Babbage never built his Analytical Engine. Had Lovelace lived, and had Babbage actually built his invention, the computer would have been invented a hundred years before it was. Isn't that an astonishing thought?! Although I slowed down over the Easter break – at least in terms of writing blog posts – I did write a few articles. Here is a selection that you may find interesting and useful. While you’re reading those, I shall be working on the next edition of the newsletter Digital Education.